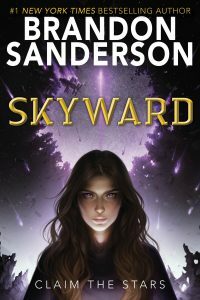 Readers looking for a thrilling, action-packed story from the future will find satisfaction in Brandon Sanderson’s Skyward, the first in what promises to be a series with a plotline similar to that used by Orson Scott Card in Ender’s Game. 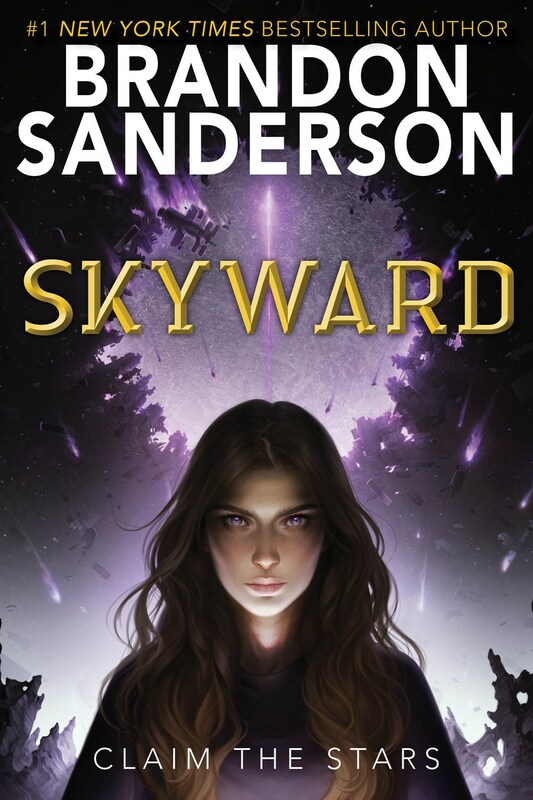 In Sanderson’s futuristic novel, seventeen-year-old Spensa Nightshade loves to explore and to hunt rats in the caverns of Igneous where no one lurks to mock, to stare, or to whisper insults about Chaser, the cowardly pilot, forcing her to defend her father and her family’s honor. Here, she also dreams of becoming a pilot and flying a starfighter for the Defiant League to fight mysterious alien enemies called the Krell. The Krell have trapped the remnants of the human race on Detritus, a planet that is shrouded by a debris field of space junk and is constantly under attack. But, those currently in power at the military base want to deny Spensa’s dream, fearing that she may carry her father’s defect. Her father had always taught Spensa to set her sights on something grand, “to claim the stars” (7). He was the bravest person Spensa knew, so it is difficult for her to believe what she considers the government’s propagandistic stories about his cowardice. Still, those stories leave her feeling both inadequate and driven to prove them false. Thinking the only way to clear her father’s name is to become an ace pilot with the solution for defeating the Krell once and for all, Spensa—callsign Spin—prepares by diligently studying strategy, motion, and position—knowing that they, not weaponry, will win the war and enable her generation to survive. Despite the many obstacles standing in Spin’s way, she defiantly refuses to submit to those who wish to break her spirit. Because she is denied room and board with the other cadets in her flight class, she is forced to find alternate quarters in the caverns, where she discovers the wreckage of an ancient ship. Her friend Rodge McCaffrey, who washes out of flight school after the first space skirmish, proves himself more gifted as an engineer. As the two work in secret to reclaim the damaged ship, Spin realizes her dream might be possible—assuming she can repair the ship, survive flight school, and (perhaps most importantly) persuade the strange machine to help her. Because this ship, whom she has named M-Bot, appears to have a human personality and a soul. Spin receives unanticipated support from her flight leader Jorgen Weight, the son of a First Citizen who is also trapped in the shadow of a father. Jorgen, who wears the mask of authoritarian perfection, not only affirms Spin’s dream but cheers her on in her quest: “You fix [that ship], and you fly. You find a way, and you defy them. For those of us who don’t have the courage” (349). As she follows her feelings, Jorgen calls Spin amazing, determined, skillful, and passionate. Whenever everyone else is calm, Spin is a burning bonfire. Spin’s mother also tells her, “But remember, Spensa. You get to choose who you are. Legacy, memories of the past, can serve us well. But we cannot let them define us. When heritage becomes a box instead of an inspiration, it has gone too far” (422). With that spark of knowledge, Spin realizes that her role and her identity is the role she tells herself, so she vows to tell the world a better story. Besides being an engaging and fast-paced story with a strong female character, Skyward rewards the reader with a rich thematic message about the consequences of leaving stories, histories, and “the remembering” to machines. It also shares human truths, that humans need humor during times of depression to lighten their grim outlook and make them forget their tragedies and that we’re all programmed by our experiences and our pasts but our free will gives us the ability to ignore that programming. Some of the memorable morals from Skyward include how we need proper information so that we can judge our future actions and how finding one’s passion makes the individual confident, since a certain peace comes from experience and understanding. Tagged aliens, self-confidence, space. Bookmark the permalink.